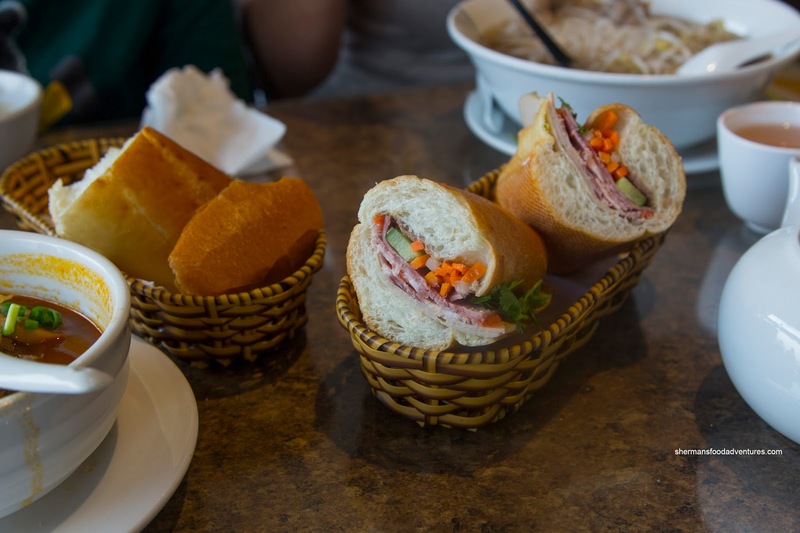 Sometimes a quick meal doesn't have to involve a drive-thru or a food fair in a mall. For those who know, grabbing some Pho can be pretty time efficient and easy on the wallet (although the prices are creeping up there). 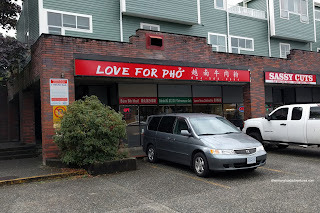 So with not much time to spare, we were driving up Kingsway in search of Vietnamese. Well, that is as easy as stumbling on a Trump joke on social media. However, we were nearing Boundary and the selection gets a bit thin until you reach Metrotown. But there was a new spot in Love for Pho. 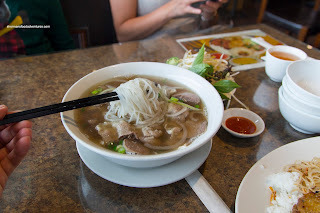 We ended up with our usual Pho Dac Biet and it was full of ingredients including an inordinate amount of tendon (which was soft with still a bite). The rest of the meats were fairly good where the brisket was fatty and soft. As for the broth, it was clean with mild flavours including the sweetness of daikon and a faint anise finish. The noodles were plentiful and still chewy. My son loves Lemongrass Chicken with rice, so yes that's what he had. 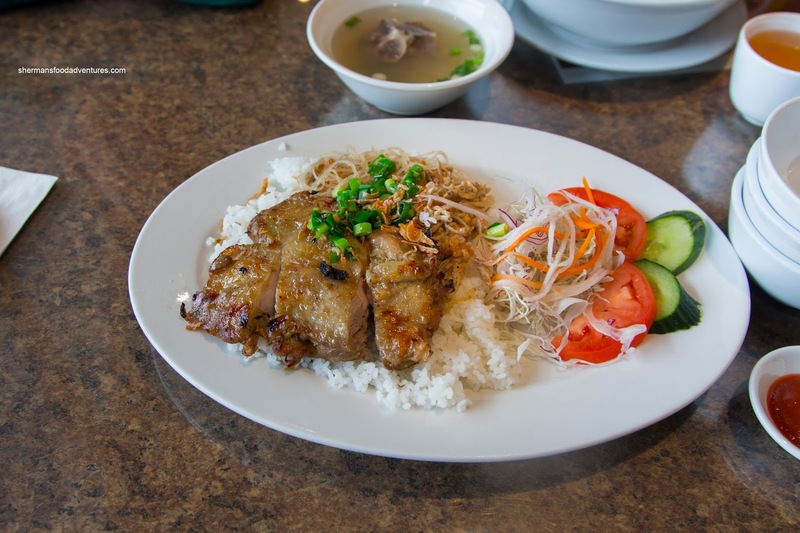 It featured chewy rice with shredded pork and a large piece of deboned leg. It was succulent and juicy, but lacking in impact. We thought there a more aggressive marinate was necessary as well as more charring to the fatty skin. 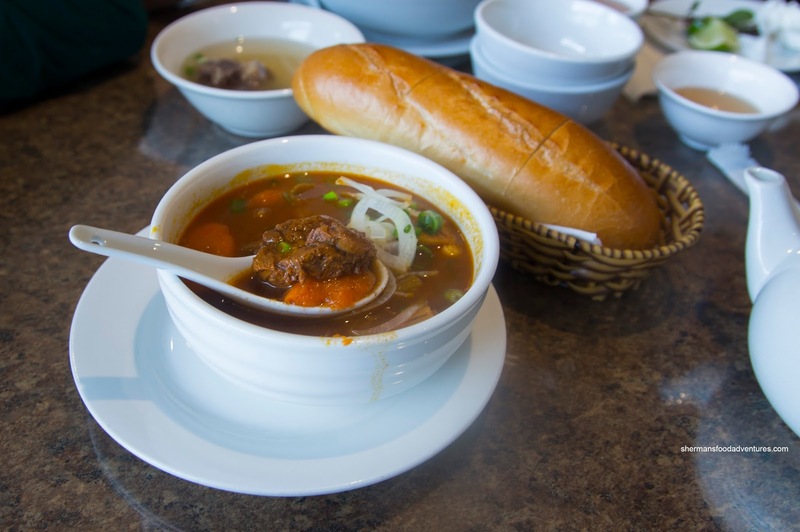 We also got my son's other favourite dish being the Beef Stew with bread. Hidden underneath the onions were a plethora of super tender melt-in-our-mouths beef shank. The tendon portion of the meat was partially melted which meant the meat was barely chewy. In terms of taste, the broth was not overly fatty nor seasoned, but there was a noticeable meatiness combined with 5 spice, anise and the sweetness of carrots. Sticking with bread, we ordered the Banh Mi Dac Biet, which was quite good. The crusty bread was not overly dense inside while there was enough ingredients to balance. Add in the pate and the drops of Maggi and the sandwich was tasty. Overall, we found the meal good, but the flavours could've been stronger.